Victoria Stoiciu is the programme coordinator of the Friedrich Ebert Foundation in Romania. She makes a doctorate in the University „Babeş-Bolyai” in Cluj Napoca. 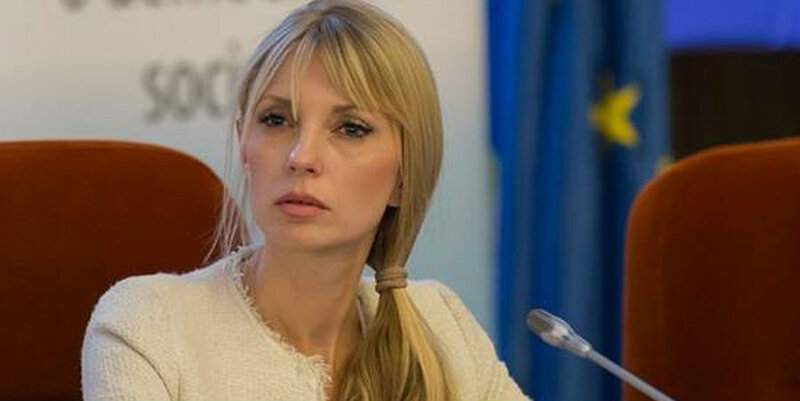 She is also a national correspondent for Romania of Eurofound – an EU agency, which researches the labour and life conditions in the member states of the European community. Stoiciu speaks with Baricada about the problems, caused by the new Fiscal Code, about the protests, provoked by the changes in the anti-corruption fight, about the current condition of workers` rights and the campaign „Heroes of Capitalist Labour“ of the Coalition for Labour, which is supported by the Friedrich Ebert Foundation and presents cases of labour relations abuses. Mrs. Stoiciu, you have called for tax resistance as a form of protest against the new Fiscal Code and against the legislation that stipulates the transfer of a large part of social security payments` burden upon the salaried workers. These changes, introduced recent also hit the interests of people with free professions, while giving fiscal preferences to richer citizens with regard to taxes upon real estate. According to the data, provided by Dumitru Costin – president of the National Syndicate Block (a national confederation of labour unions), at least two million employees from the private sector have not received any salary rises in compensation to the additional 22,5% social security payments. Therefore their net income falls. What information have you received – would people protest through „tax strike“ (non-payment of taxes)? The call for „tax strike“ was more a symbolic call. It is clear that even though people don`t have great desire to pay their taxes, very few of them would apply openly such a form of protest. Usually, people prefer to avoid paying taxes through various ways, which are on the border of what is legal. People aim to minimise their risks. It is too risky to openly reject paying your taxes at this moment. We have only recently gotten accustomed to the idea of street protests. We don’t have a very combative culture of protest – a culture, which would lead us to make radical gestures. Also, it must be underlined that the “tax strike” is not an available form of protests for those citizens, which I presume are hit hardest by the transfer of social contributions – salaried workers. They can’t decide not to pay their taxes, because their taxes are retained automatically at the source and moment of payment of their salaries (which is something good). That is why it was clear to me that the call for tax resistance is mostly symbolic and will not be applied. Its aim was not practical, but explicative – I wanted to formulate people’s dissatisfaction in left-wing terms. Not only the problems of fiscal reforms, but also the idea of “tax strike”, were appropriated by the Romanian right and explained through right-wing rhetoric. We reached a situation in which the most neoliberal possible reform was explained as a “Bolshevic” one. That is why when the idea of a “tax strike” appeared public, it was wrapped in a right-wing discourse, in anti-state and anti-taxation terms. I think that the left should succeed to channel the legitimate dissatisfaction, which such policies cause, through progressive discourse. We need to make the citizens understand that the problem is not taxation, but the unequal taxation. We can’t have a functional state and a normal society without just taxation. Why topics such as supertaxation of labour and introduction of the new Fiscal Code don’t cause so big protests as the changes of anti-corruption legislation cause? The “tax strike” is an individual form of protest. Would there be also a collective protest on the aforementioned topics? I have heard opinions that fiscal modifications are very technical matters. That is why it is difficult for them to create massive mobilisation. I don’t agree with this explanations. Legislative modifications in justice are even more technical, but they produce collective emotion. The protest is something, which is decided at the moment. It is a spontaneous act to go out on the square, but the prerequisites for indignations grow over time. That is why there is a need for ‘translators” – for institutions or people, that could translate the technical details into accessible language and to relate them with society’s fears. The notorious emergency decree 13 from the year 2017 was a collection of very techincal clauses, but translators managed to transmit a very simple message. It was even an exaggerated message: that the corrupted and accused will escape punishment. In this context, the fiscal reform came in a situation, when there is no articulated publicly fear of poverty, of precarious labour, even though this is the most important problem in Romania today. There are very few translators in this sphere. We face a paradox. In the poorest member state of the EU, in which close to a half of the population faces poverty and insecurity for tomorrow’s day, poverty is not a problem on the public agenda. This happens because the public agenda is focused on the relation between the power segments in society. Every day media discusses who holds the power and what matters to him. There is no interest in this moment for poverty to be defined as a problem. The dominant elites and their servants have nothing to gain from such development. On the contrary, they want to minimalise this problem and to make the poor culpable for their destiny of income and consumption deficits. How could we have a protest, when a problem is not perceived as a problem? It is even shameful to protest, because of material, “earthly” needs. There is a thinking that the only legitimate protests are those, caused by principles, by ideals, by justice, rule of law, etc. Why the present protests against the changes in justice attract less people that the protests from the beginning of 2017? What could be the outcome of the anti-corruption’s redefinition? Would it be stopped, as the chief prosecutor of DNA Laura Koveşi claims, or rather it will continue to be active, but we observe a conflict who would control this fight and against whom it would be directed? There are less people today, because of various motives. On one hand, the ruling party`s tactics changed. The changes in justice laws have taken place now through a parliamentary procedure and not through emergency decree. Thus, protests lasted technically longer time and the indignation was dissipated over a longer period of time. That is why it was difficult to obtain so intense reaction as the one that was produced in February 2017. Also, the protest has its dynamics and it also enters in times of decline and exhaustion. Last but not least, I think that a part of those who protests in February 2017 don’t go on the streets today, even if they criticise the PSD’s modifications, because in the meantime the right-wing narrative of protests became very clear. Also, it was obvious how the political opposition uses these protests. As far as the anti-corruption fight is concerned, I think that it really needs to be rethinked fundamentally. It becomes more and more clear that there are structural problems in the way in which this fight is being realised. The implication of the secret services and of other institutions of force, the lack of transparency, the internal clashes of some prosecutors, the canceling of some important cases (such as Microsoft), the non-opening of files in other cases are only some of the causes that explain why a redefiniton of anti-corruption fight is necessary. The problem is that at this moment there is no political party, which could realise this redefinition, starting from the real probes and reaching a certain resolution of them. Unfortunately, the goals of the current redefinition are very limited and are related most of all with salvation of one’s skin. In 2017 Romania had one of the largest economic growths in EU. At the same time in the autumn of 2017 32% from the full-time employees worked for minimal salary. After the minimal salary was lifted from 1450 lei (311 euro) to 1900 lei (407,5 euro), their number has probably risen additionally. This means that large parts of the population don’t feel the economic growth. How should we interpret the contradiction between the big GDP growth and the low incomes? Why people who work continue to lose ground vis-a-vis the capital and what could be the optimist theory for the salaried workers? I would like to contradict the idea that the number of salaried workers at minimal salary rises, because of the rise of minimal salary. Romania has experienced large minimal salary rises until 2011, but this didn’t lead to exponential growth of the number of employees who work for minimal salary. The cause for the present rise in their number is the abolition of the national labour contract. It stipulated that there will be level of payments for each professional activity in accordance with the qualification. So the risk for large mass of labour contracts for minimal salary was avoided earlier. The economic growth doesn’t mean equal distribution. If there are no policies that redistribute the fruits of this growth, there will always be winners and losers. Labour loses positions before the capital, indeed. Even though the number of workers has grown significantly in the last years, the share of employees’ salaries in GDP falls. This means that the ever larger number of employees fight for a portion of the economic “pizza” that is ever smaller. This is not only a Romanian phenomenon. It exists on global level and is due to the globalisation of production and to the transnational capitalism. The power for negotiation of capital vis-a-vis the power of states has grown. States renounce the regulations that limit the capital and redistribute the wealth it has created. In 2011 in Romania took place a large regress from this point of view. The labour legislation and the law for social dialogue were modified then. The Friedrich Ebert Foundation Romania together with other organisations realise the information campaign „Heroes of Capitalist Labour”. As part of this campaign you interview workers, who have organised a labour union in their firm, but have met resistance and lack of understanding in their employers. What problems do labour union leaders have and to what extent the Romanian legislation eases labour union activity or makes it more difficult? Your campaign has presented cases in which both employers and labour unionists have lost the mutual trust and no longer have space for negotiations. To what extent do you find cases when employers and labour unions have built an exemplary culture of labour relations, based on dialog and respect? How do you explain the successes and the failures in relations between employers and employees? Our campaign takes place within the frame of “The Coalition for Labour”, which unites a few NGOs and labour unions. It documents any kind of abuses at the place of labour and is not interested only in cases when the right of free association is not respected. We have cases of workers, who have been dismissed in an abusive way, who work more than what has been stipulated legally or in precarious conditions. We have cases of harassment. A lot of the cases refer to the harassment not only of leaders, but also of members of labour unions. I would not say that Romanian legislations eases this kind of abuses, but it also doesn’t discourage them. The fines are small, especially in the cases of large companies, who have turnover of milions of euro. In the autumn of 2017 it was announced that the Romanian economy passes through a deficit of labour. Just as in Bulgaria, employers fight for import of workers from countries outside the EU – e.g. from Vietnam or Nepal. But this import has at least one major threat – salaries could be held at reduced levels, and small income leads to emigration of Romanians abroad. What is the current state of the case with import of workers from countries outside the EU? To what extent this topic is important for the Romanian society and what is the attitude of Romanians and labour unions towards such development? There is a deficit of labour force in Romania at this moment. It is strengthened by the large segment of inactive population or by the number of people who work in agriculture, which offers only survival. What we see is an example of failure of free market of labour. The demand doesn’t meet the supply and the transaction between them doesn’t take place. It would be logic to have a rise of the salaries that are offered, so that employment become more attractive and beneficial for employees. But this doesn’t happen. Due to the fact that salaries are not sufficiently attractive, Romania is not a country that is attractive to migrant workers from outside the EU. Migrations has its costs. It is not profitable for them to leave Vietnam and to come in Romania for a salary of 300 or 400 euro. In 2017 there were more than 60 000 immigrants from outside the EU with legal documents registered in Romania. After 2008 their number has been relatively constant. In short and midterm I don’t think that Romania will face a migration wave from outside the EU. As long as the salaries are small it is not attractive as a destination. But if salaries rise, jobs will be occupied by Romanian workers. Migration could be a solution in the midterm, when we confront the effects of the aging population. I don’t think that immigration is a topic of interest in this moment, but in the future things could change and we need to be prepared. To complete this interview, I returning to the relations employer-employee. What is the receipt for action, when both parties lose their mutual trust and drain the possibilities for negotiations, entering in war? Who could play the role of a mediator between them? Do you try in the campaign “Heroes of Capitalist Labour” to speak not only with labour union leaders, but also with employers? Are they open to presenting their point of view with regard to the cases, which are presented by the labour union leaders? We try to ask for point of view of the employer, as long as it is possible. But usually we don’t get it. We don’t try to be a mediator. The goal of the campaign is to research for cases when, unfortunately, there is no longer space for mediation. The majority of the cases, which we research refer to situations in which the bridges for dialogue have been burned. The explanation is that employees avoid speaking publicly about their problems, fearing that they would lose their job. The unveil their story only when they reach an open conflict. We have other projects at the the Friedrich Ebert Foundation or at the partner organizations, which try to consolidate the social dialogue. This is not possible, when the conflict between the employee and the employer already unfolds. In these cases the only solution is for the law to be applied throught court’s sentences, through decisions of the Labour Inspections, of the National Counsel for Combating Discrimination or of other institutions. That is why legislation nis very important. We collaborate close with the members of Romanian parliament. Our goal is the change of perceptions, the understanding of the notion of abuse and discrimination at the work place. We also want to influence the legislation so that a real social dialogue takes place, instead of the formal one, which it takes place now. Journalist with focus international news and analysis. He has worked for the Tema Magazine between 2008 and 2015. He has founded the bilingual Romanian-Bulgarian blog ”The Bridge of Friendship”. His articles and translations have been published by the BGNES agency, the magazines of A-specto and Economy, the blog of ”Solidary Bulgaria” and others. He has published also in the Romanian magazines of Decât o Revista și Q Magazine, and in the Romanian left-wing portal Critic Atac.